Suppose that there is a great and tall wall that is both impenetrable and beautiful. Who knows—maybe it’s even solar powered. 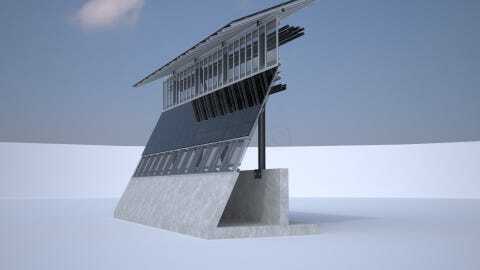 This wall stands 10 meters tall and goes on and on and on. Yes, this is a two-part question. We do like that a lot in physics. I find that the best way to start just about any physics problem is to diagram it. Visualizing the problem helps determine just what you want to know, what you will never know and what you already know. Plus, I like diagrams. Yes, I know the diagram is not to scale. Don’t worry about that. The key thing to consider is that the guy (or hombre—good or bad, you decide) must push this bag of stuff some distance s to get it up to speed. The sack then moves up to a height h so that it goes over that tall, glorious wall. Right here we should be able to see a path to the solution. We can solve this problem using the work-energy principle because we don’t care about time, only distance. This principle says that the work done on a system is equal to the change in energy of that system. If I choose a system consisting of the sack and the Earth, we will see two types of energy in this system: kinetic energy and gravitational potential energy. Now for the change in energy. If I consider the sack at the moment just before it’s thrown the starting point, it starts with a kinetic energy of zero joules. For the second point, I will use the highest point in the path at the sack clears the great and awesome wall. Here, too, the sack has a kinetic energy of zero joules. 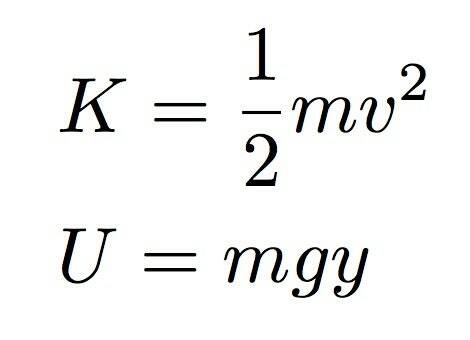 Therefore, the change in kinetic energy is zero joules. Now we substitute values and compute, or in technical terms, “plug and chug”. 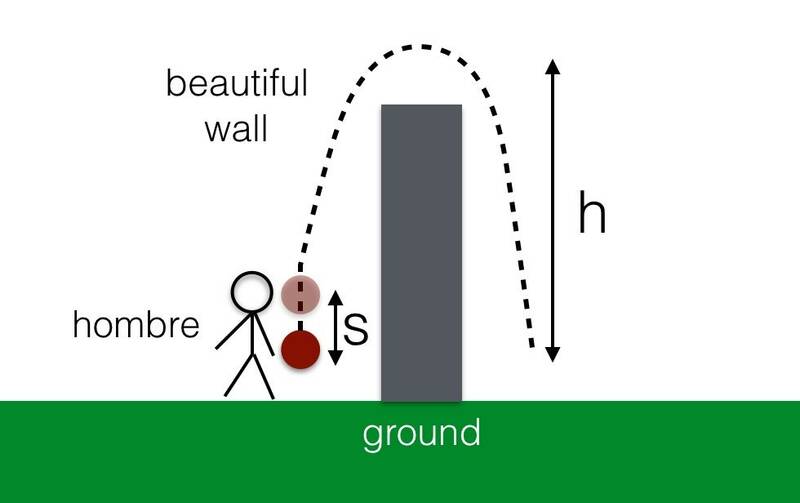 Using a sack mass of 27 kg and a beautiful bodacious wall height of 10 meters, I just need a value for the throw distance. Let’s be generous and give it a value of 1 meter—using both arms and legs to increase the distance of the throw. 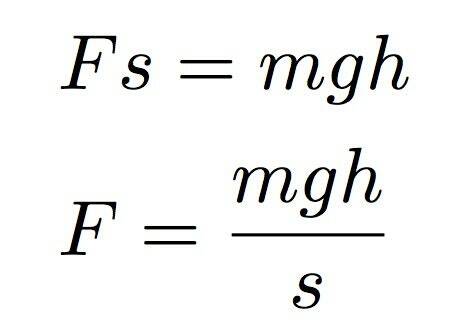 This would require an average throwing force of 2,646 newtons, or almost 600 pound-force (just to give rightwingers an idea of what we are talking about). That makes this one tough, strong sack-throwing hombre, someone not to be messed with. Someone like Chuck Norris, say. But wait! But what if Chuck Norris hurls that sack over that mighty wall and clonks someone on the head? How do we find out what happens? Well, the physics is exactly the same, but backwards, if that makes sense. If you caught, or tried to catch, this sack on the other side with a catching distance of 1 meter, you would need an average force of 2,646 Newtons. If it hit you in the head, it might stop over a much shorter distance of (say) about 0.25 meters. In this case, there would be an impact force of 10,584 newtons. Bam! That would hurt. It would spoil your whole day. Or, as Trump would say — “It’s over”. 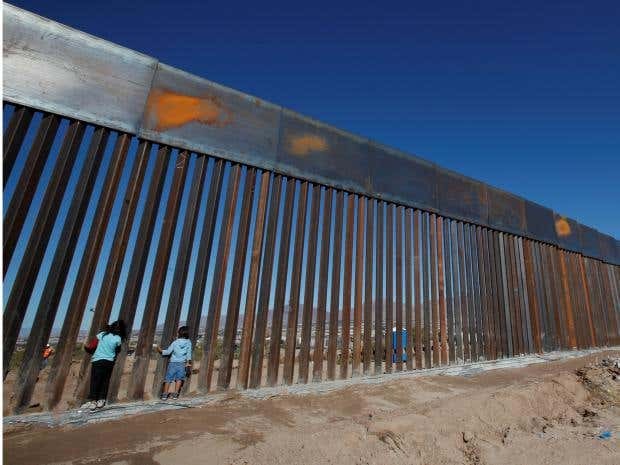 Call your congressman to demand that this massive magnificent wall be made transparent, as suggested by the President of the United States of America, so that you can see the sacks being tossed over by Chuck Norris and be able to take evasive action. Do it now!